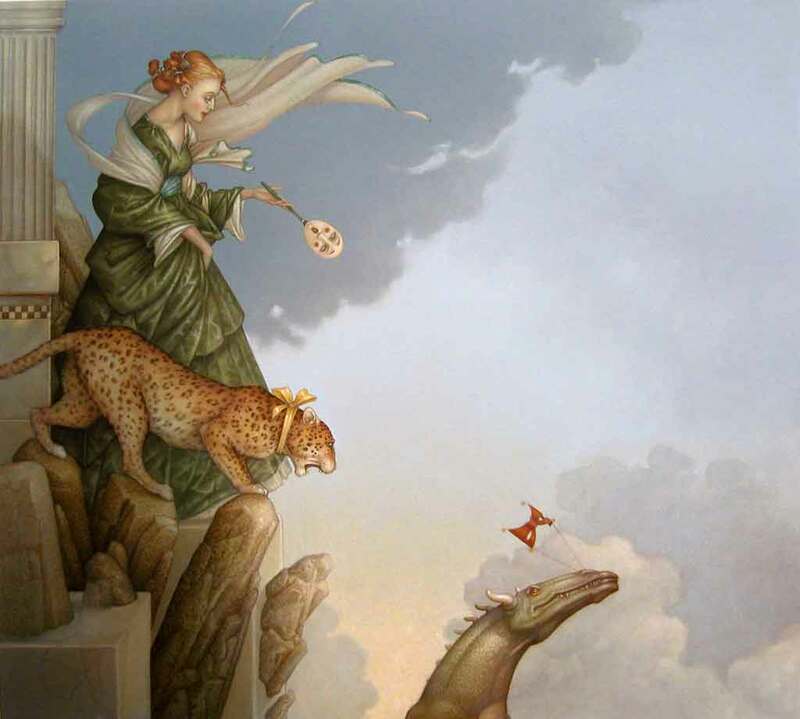 Michael Parkes has had one-man exhibitions at the Basel Art Fair in Switzerland, Art Chicago, New York Art Expo, Frankfurt Book Fair, Amsterdam Art Fair, Tefaf Art and Antiques Fair Maastricht and is represented by prestigious galleries in Amsterdam, Paris, Denmark, Italy, New York, Los Angeles, the San Francisco Bay Area, and around the United States. In 2007, Michael was the guest of honor and featured artist in the international show “Venus and the Female Intuition,” exhibited in Denmark and Holland . 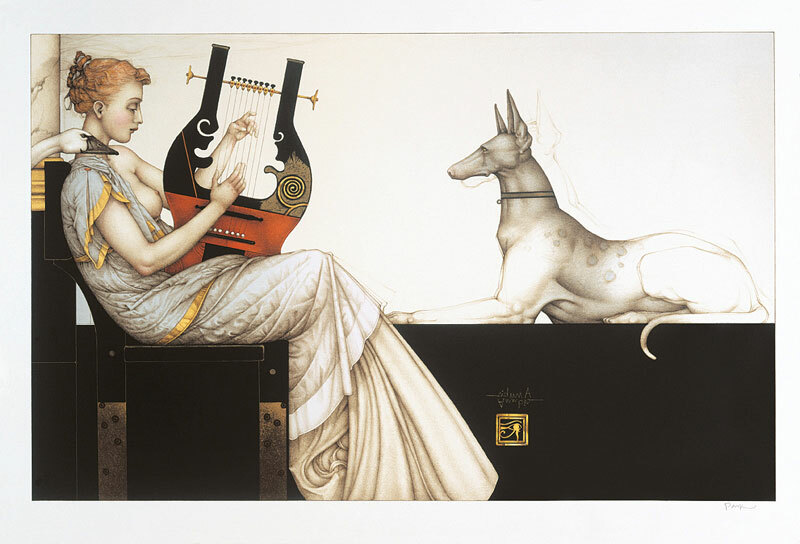 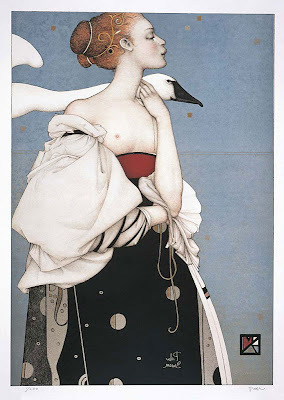 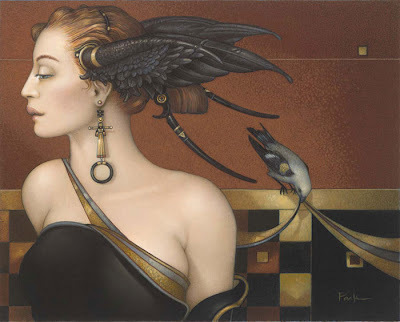 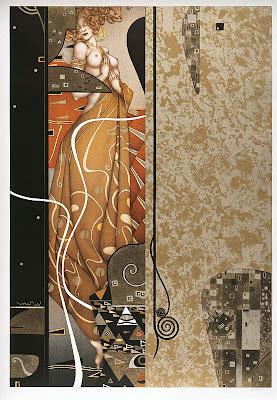 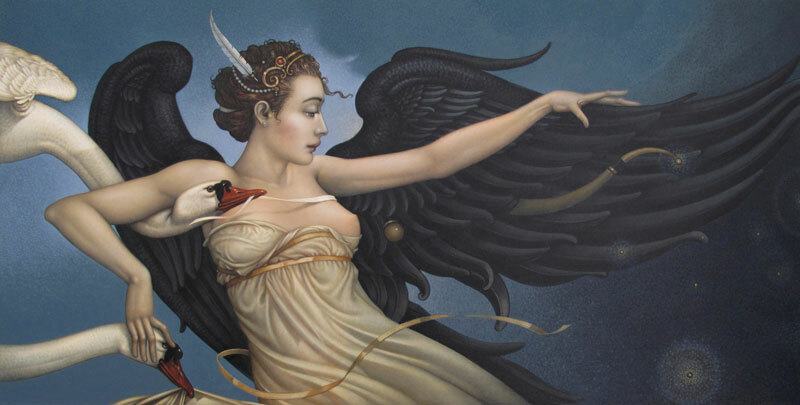 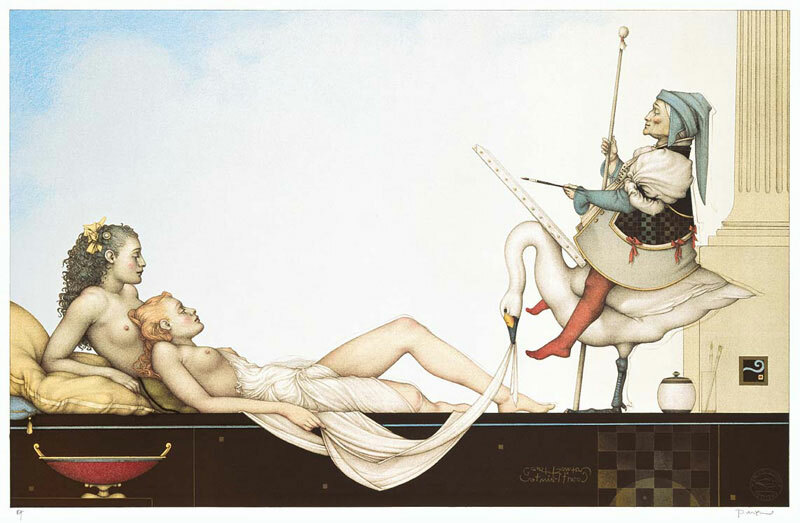 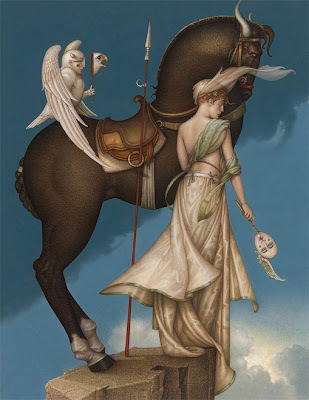 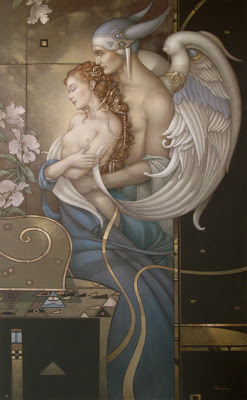 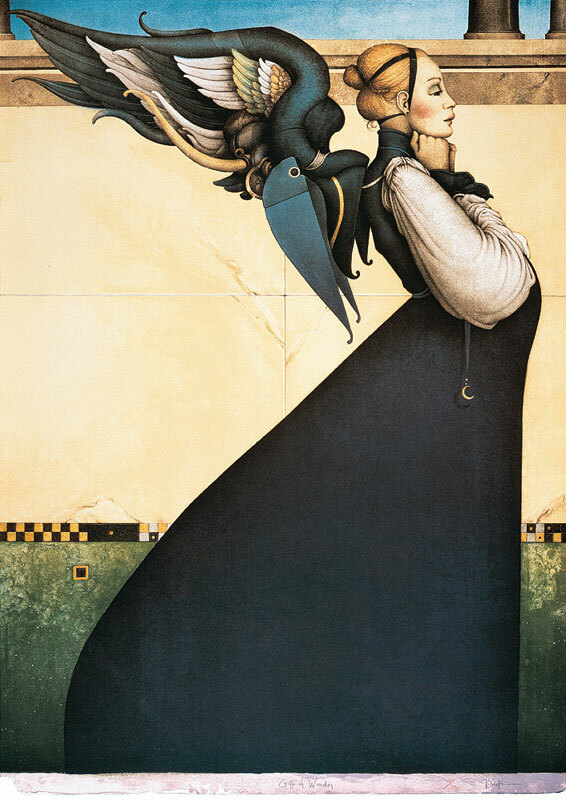 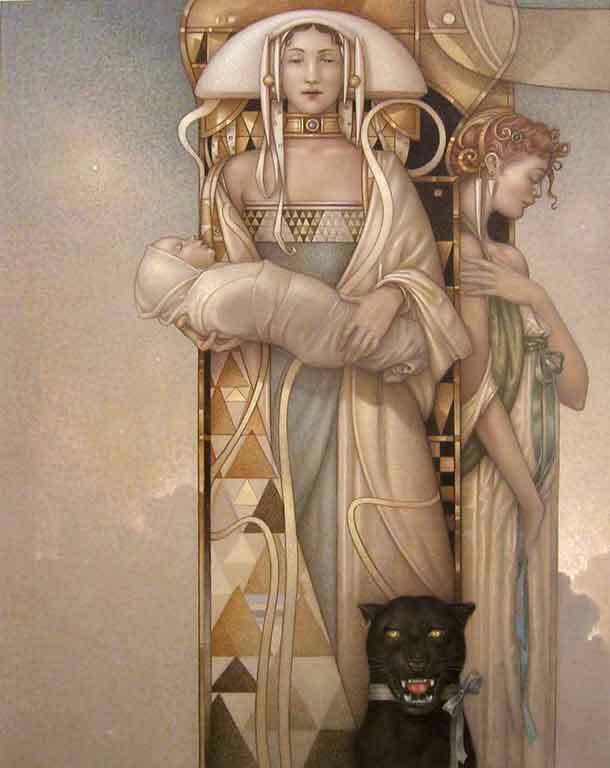 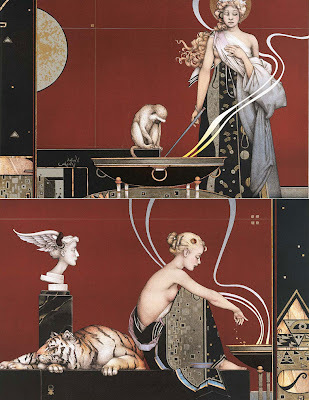 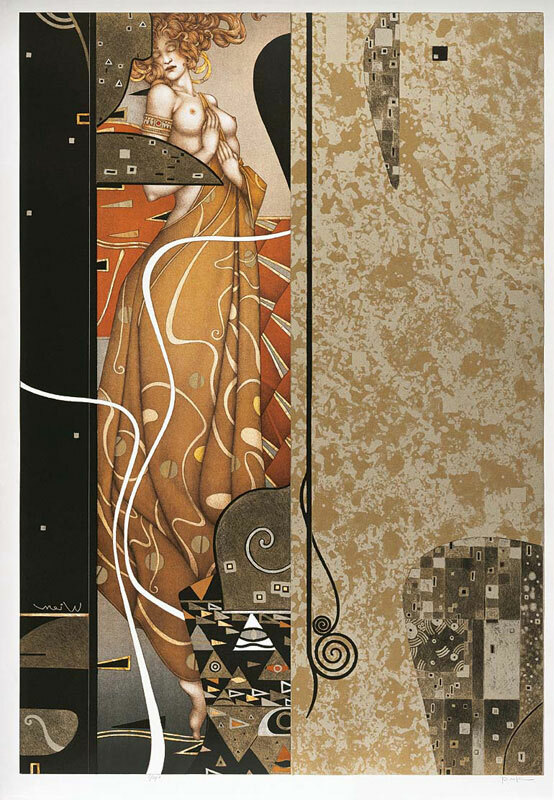 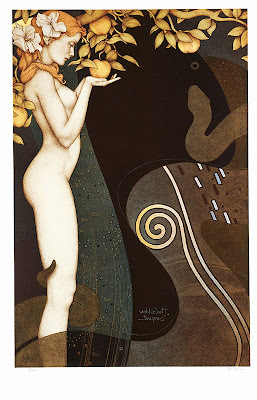 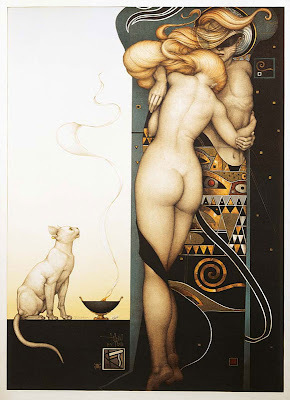 Also in 2007, Michael Parkes’ work inspired a contemporary ballet production by Scorpius Dance Theater of Phoenix, where his art came alive in the ballet’s sets and characters. 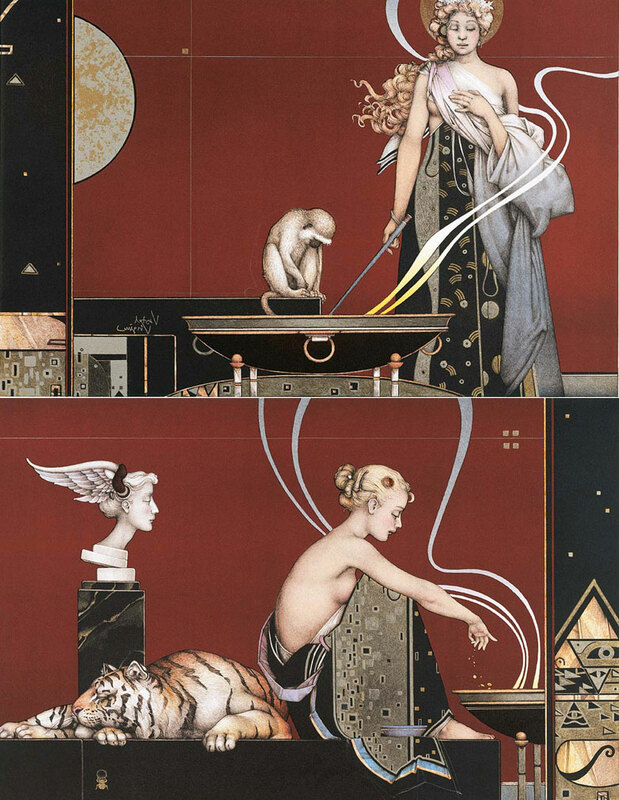 Parkes could draw even before he could read and write. 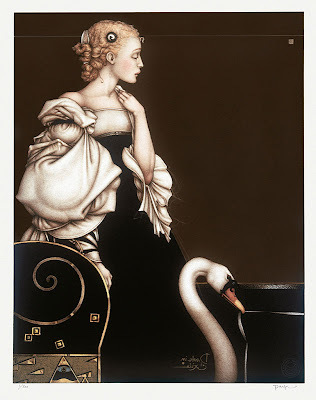 He was an only child, raised in Canalou , Missouri , a typical American Midwest town in the fifties. 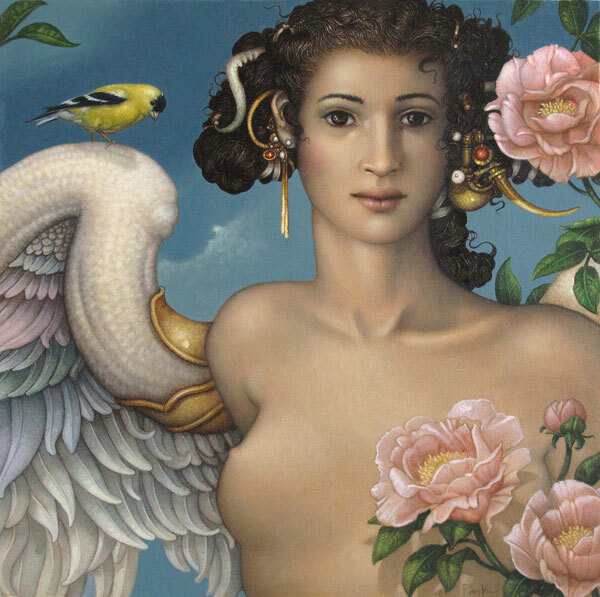 He attended art school where he met the woman, artist and musician to whom he remains married more than three decades later, Maria Sedoff. 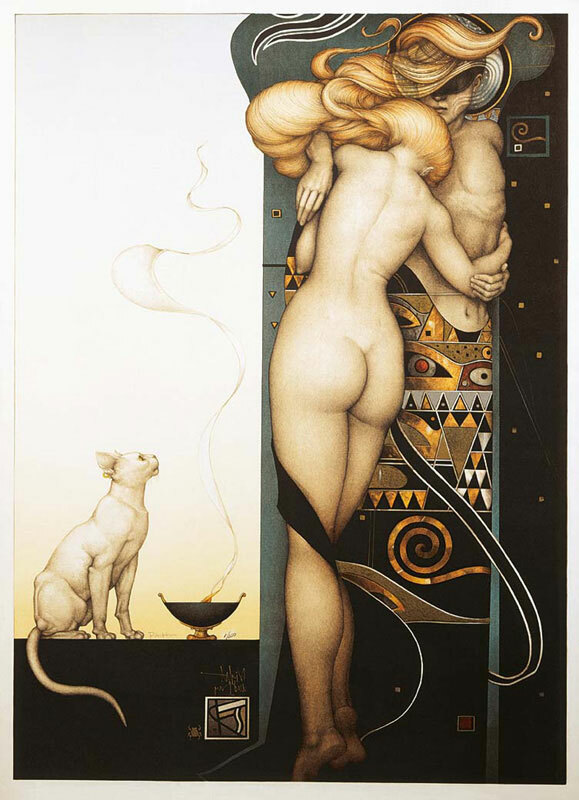 Parkes taught college level Art History as the young couple made their way in the Vietnam era. 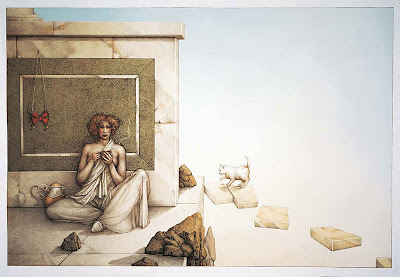 Parkes has been a serious and lifelong student of spirituality and esoterica. Together in the 1970's, Michael and Maria set off on a spiritual journey where they found excellent teachers and a lifelong passion for India . 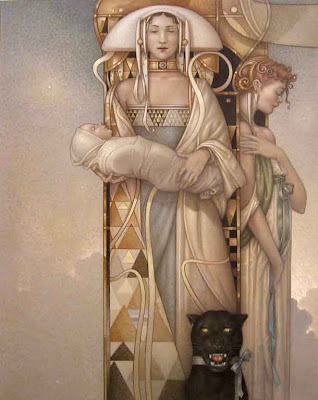 Returning to Spain soon after their only daughter was born, Michael and Maria worked together to form a financially stable venture in art, beginning with humbly making and selling leather belts to tourists to achieving the internationally prestigious recognition as a master that Parkes enjoys today. Parkes remains humble and as much like your favorite neighbor as the sage weaver of myth and dreams whom we know through his art. Ultimately forming a publishing company to independently represent his art work, Michael and Maria now live and work in Spain Swan King International is now Parkes’ exclusive publisher and distributor of his creative works.